It's always exciting to see how fashionistas decorate their homes, and Kelly Framel from the popular fashion blog The Glamourai went with a black-and-white color scheme in her living room that works on so many levels. 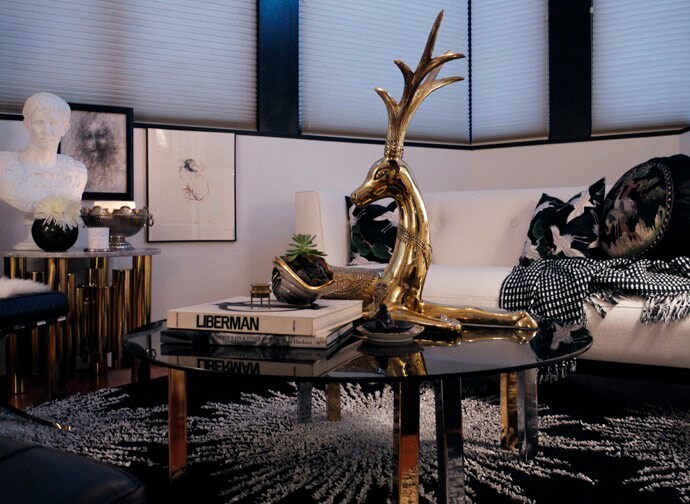 It's not super feminine, has a nice dose of glam with the gold accents from the coffee table to the deer sculpture, and a modern vibe that still feels welcoming. Love, love, love.